Zig Zag and Bollinger Bands trading system is a price action forex strategy based on Zig Zag rnp indicator, ArrzzX2 indicator with Bollinger bands. Currency pairs: EUR/USD, GBP/USD, AUD/USD, USD/CHF, EUR/JPY, GBP/JPY, AUD/JPY, NZ/USD, USD/JPY, XAU/USD, XAG/USD, Oil. 3) Buy if stochastic V.3 MTF has crossed upward. 3) sell if stochastic V.3 MTF has crossed downward. Profit Target 60 min time frame 15-20 pips; stop loss 20 pips. Profit Target 240 min Time frame 25-30 pips; stop loss 30 pips. 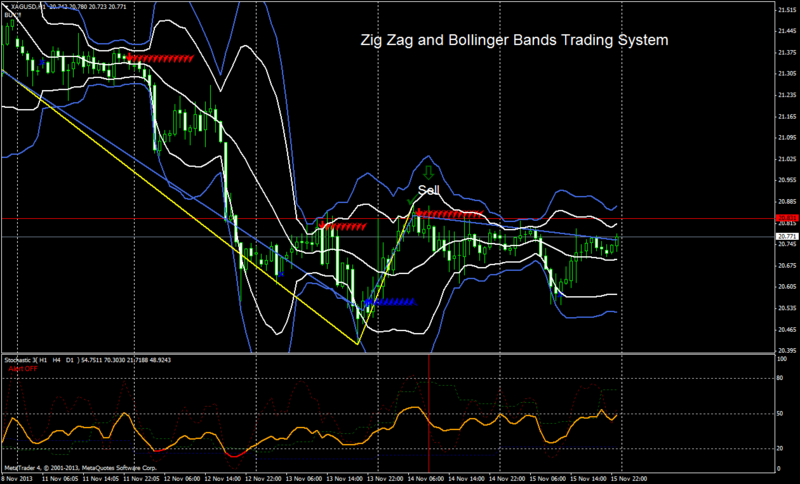 Zig Zag and Bollinger Bands Trading System. 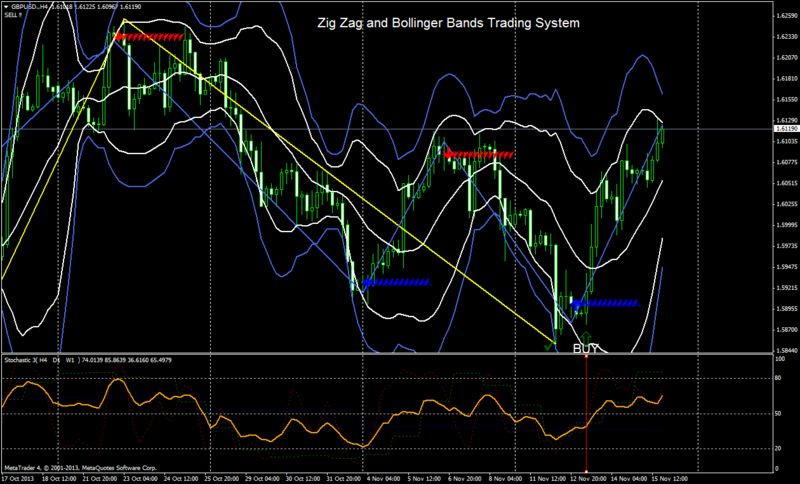 Zig Zag rnp and Bollinger Bands orice action trading system (Template and indicators).